Let’s get to know the Precious Elements! Can you think of anything more stunning than carefully arranged details that make you think of spring and playfulness and Wonderland, all at the same time? We had a virtual sit-down with Ecaterina and she told us all about how she started transforming her creative dream into reality by creating elaborate decorations that can beautify any home and any special occasion. The key, she said, is to love what you do and that passion will shine through in the products as well. Let’s read her story and let’s take a look at her Precious Elements that are truly breathtaking! 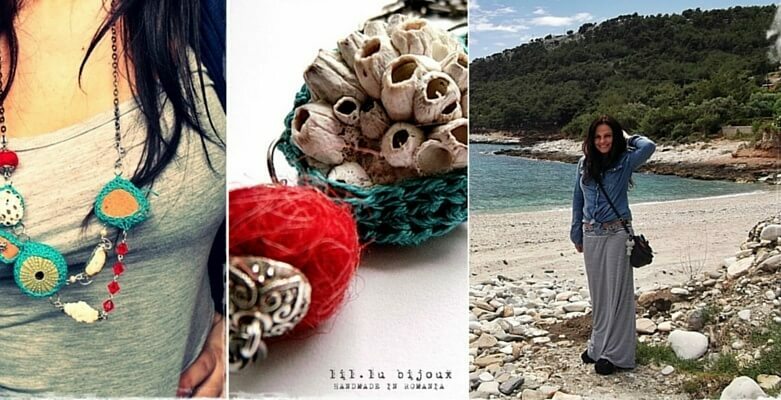 Let’s meet Issa, the owner of the lil.lu bijoux and the story behind setting up her store and the process of turning a hobby into a paying job, but especially the amazing sea urchin and sea glass jewellery that delights every woman searching for some exotic chic. Find out why Every Picture Has A Story To Tell! Meet Christine Sawvell, the owner of “Because Every Picture Has A Story To Tell” and read her story about her lovely products! Can we take a moment to indulge in the scented coconut body butters, honey soaps, pulse perfumes, rich shea butters, Argan beauty elixirs and so so much more? Read our interview with Orsi, the owner of Petite Magique and find out how she turned her curiosity into her hobby and then into business, bringing joy to everyone who needs some well-deserved quality skincare and beauty routine with her tiny bits of magic. Meet the Kati’s Handmade decoupage beauties! Meet Kati and read her story about the world of memory and keepsake boxes, adorable rabbit napkin holders, slate hearts, splendid decoupage creations and more. Lavender, Goat milk and Chocolate-Mint are just a couple of the amazing soap creations that you can purchase on the Blans web store on Shoptsie. Let’s get to know Blanka and her passion for natural soaps that lead to a blooming and deliciously spicy business. Dotted Daisy, Cinnamon Suede, Gold Periwinkle and Velvet Black Dahlia are just a few of the amazing shoe creations you can find in the Rosie Toes Shoes webshop at Shoptsie. We had the chance to have a virtual sitdown with the person behind these gorgeous products so let’s get to know Inge, the artist behind the delightful Rosie Toes Shoes.